As a Seniors Real Estate Specialist, I’ve included some links that should assist you in your move. If you have any questions at all, please feel free to call me or send an email! 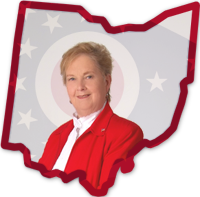 Cleveland Seniors – The online home for “Seasoned Citizens” of Cleveland and Northeast Ohio. The SRES® (Senior Real Estate Specialist) Designation program educates Realtors® on how to profitably and ethically serve the real estate needs of the fastest growing market in real estate, clients aged 50+. While earning the SRES® designation, I have attained valuable resources and networking opportunities across the U.S. and Canada to help my senior clients. Through the many classes I have taken, I have cultivated the patience to work with seniors and have learned how to assist in making the decisions that are right for them. I understand that sometimes you just need someone outside the family to listen, and help you sort out your thoughts. I can be that person. I know that time frames are also very important. I will not rush you or push you into a decision that you aren’t comfortable with. Planning and being in control of your wishes is of the utmost importance. When you decide to put the home on the market, I can give you the guidance to separate what your are taking with them and what might be sold or donated. I also offer staging services, where we setting the stage to show the home to give it the best advantage. Please give me a call. As an SRES, I would be happy to speak with you!